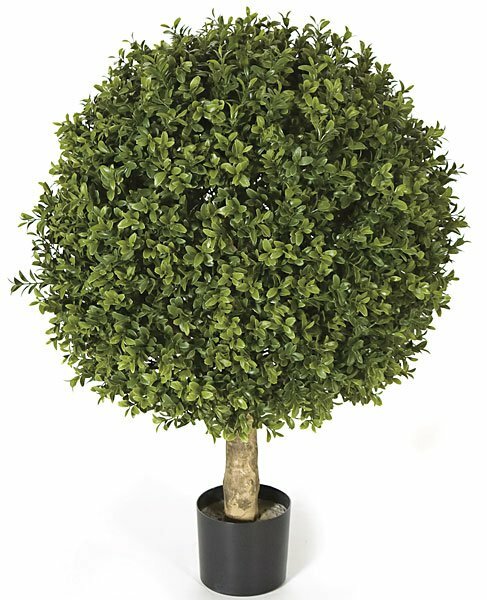 24 inch Plastic Boxwood Ball Topiary - Natural Trunk - Tutone Green Leaves - 20 inch. If the accent base container is listed in the description, then it comes with the topiary. Otherwise, the container is for display only and comes with a plastic base as shown. Good purchase, and my dog leaves it alone. It sits next to the kitchen entry to block a hole we have.